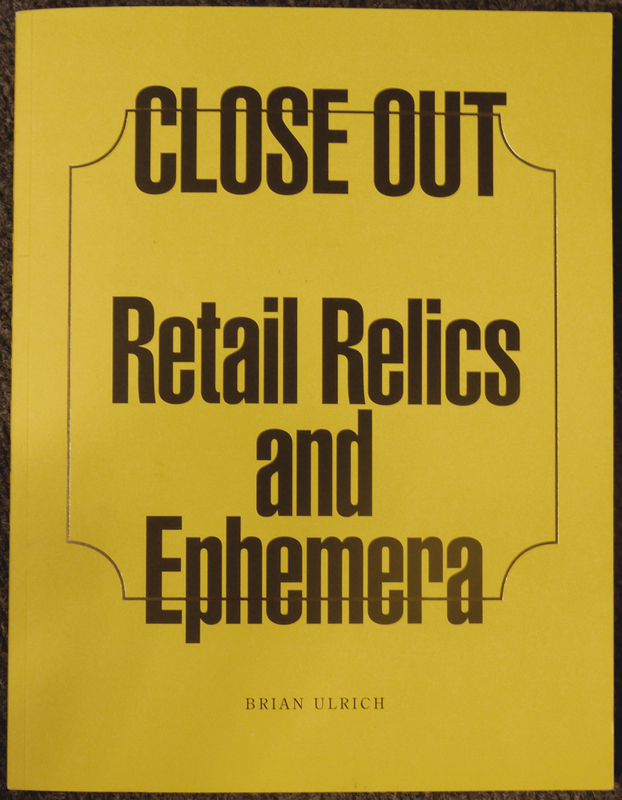 Photographer Brian Ulrich is a bit of an anthropologist of contemporary retail culture. He is obsessed with all things related to big box stores and shopping centers from the open, bright shiny new malls, to the mounds of repurposed and resold objects at the thrift stores, to the recently used but now abandoned monuments and structures of our changing consumerism. His long-term project Copia, which focuses on these three aspects of American consumerism, was reproduced in the 2011 Aperture publication Is this Place Great or What? 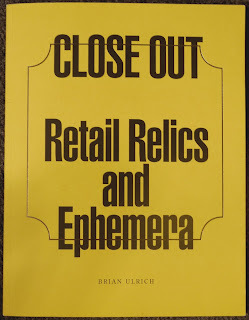 This new book is an exhibition catalogue for a show titled Close Out: Retail Relics and Ephemera that was on display in early 2013 at Virginia Commonwealth University’s Anderson Gallery. 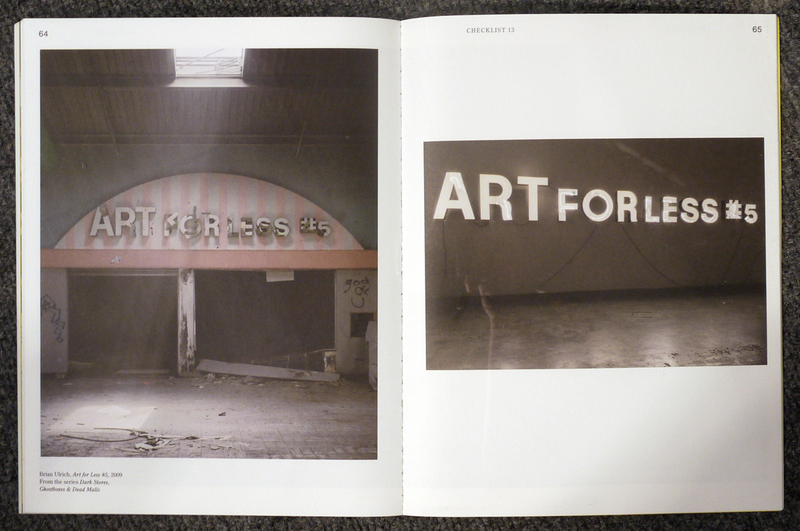 The extensive space in Anderson Gallery allowed Ulrich to not only feature many of his photographs from the project, but also exhibit collected materials from years of scavenging at abandoned retail locations. The ephemera he amassed traced these stores from their heyday in the 1960s to their demise and then onto something much newer and grander, likely becoming another big box discount store. 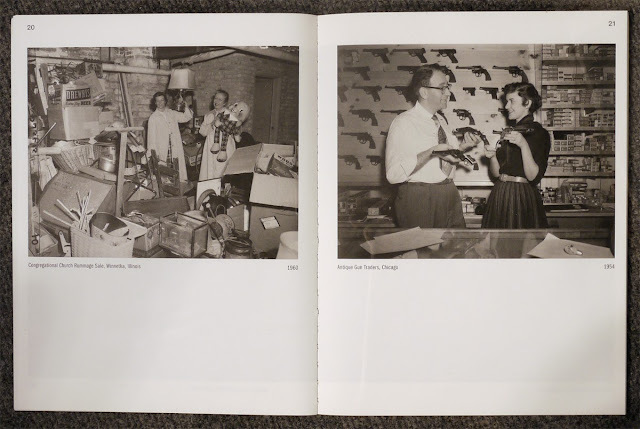 The exhibition catalogue opens with images reproduced from negatives that Ulrich acquired from eBay mostly taken with a SpeedGraflix and heavy bulb flash often used in the mid-twentieth-century. Mike Mandel and Larry Sultan’s classic publication of found photos titled Evidence, come to mind, but mostly the images are reminiscent of Bill Wood’s photographs around Dallas-Fort Worth in the post-World War II suburbia. It was a good time in America, a time to abandon the austerity of the 1940s and celebrate victory, prosperity and the American Dream. 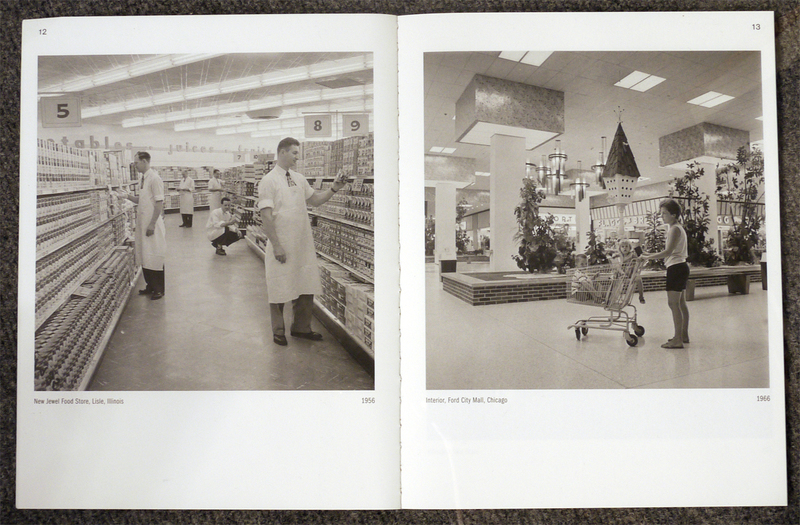 Yet the few images included illustrate the birth of retail and its demise: the grandeur of newness, the depravity of want and the decline of the local, evidentiary images of found stolen goods and the boarding up of a local Chicago restaurant, reinforcing some of the photographer’s themes. The catalogue is illustrated with a many objects from the exhibition to give a feel of the depth of the ideas explored within in the three dimensional space. 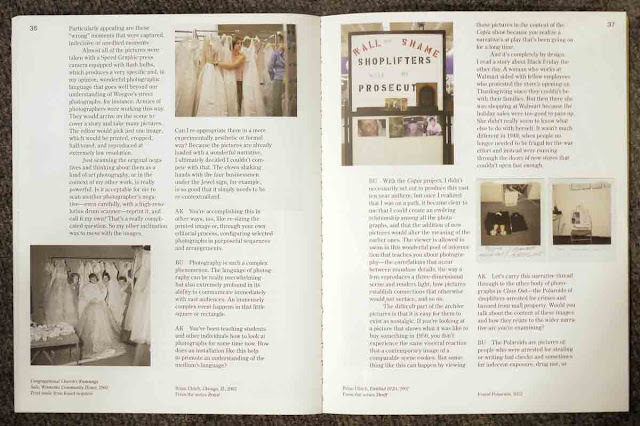 Including the reprinted photos, we see a few of Ulrich’s photographs and installation views of Polaroids of shoplifters, neon signs, door-knockers, floor plans and other found objects. 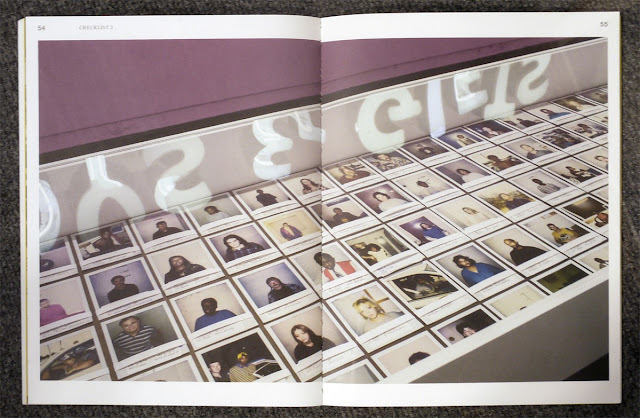 The interview with Ulrich by Ashley Kistler and the essay by photographer Will Steacy add important depth, showing Ulrich's creative vision, his obsession and both the humorous and serious nature of this work. Steacy established his interest in the American working class and economic downturn through his project, exhibition and book Down These Mean Streets and his essay he is forthright in his opinions and his passion for the working class rights and suggestions for a better economic future. Both artists' texts are based in sold facts and are valuable additions to the visuals from the exhibition. My name is Bob Rhodes and I am the General Manager of James River Press in Richmond. Thank you so much for your kind words regarding our company. Much of the credit goes to Brad Evans, the head of our pre-press department, who shepherded the project through the plant and Ashley Kistler, Director of the Anderson Gallery who did a remarkable job of managing this complex project. Finally, I cannot say enough about the talent and dedication exhibited by Brian Ulrich. We were honored to have the opportunity to work with him.